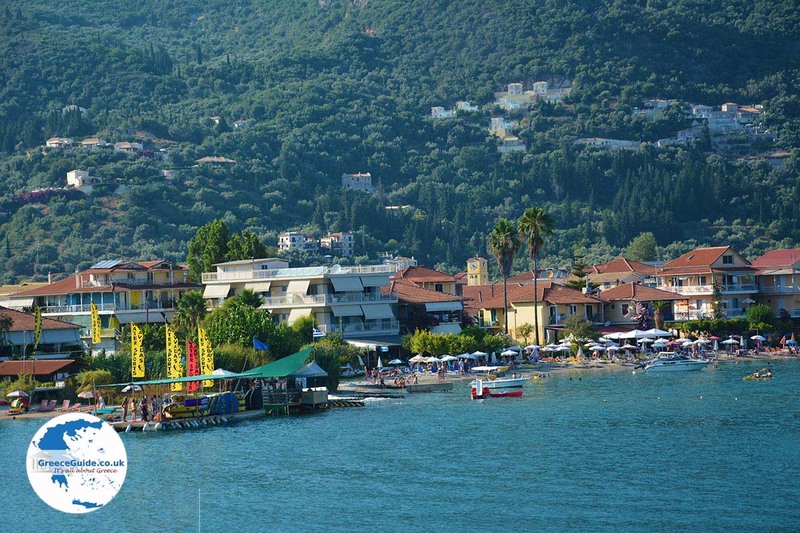 Nidri (Nydri) is the best developed holiday resort on Lefkada. 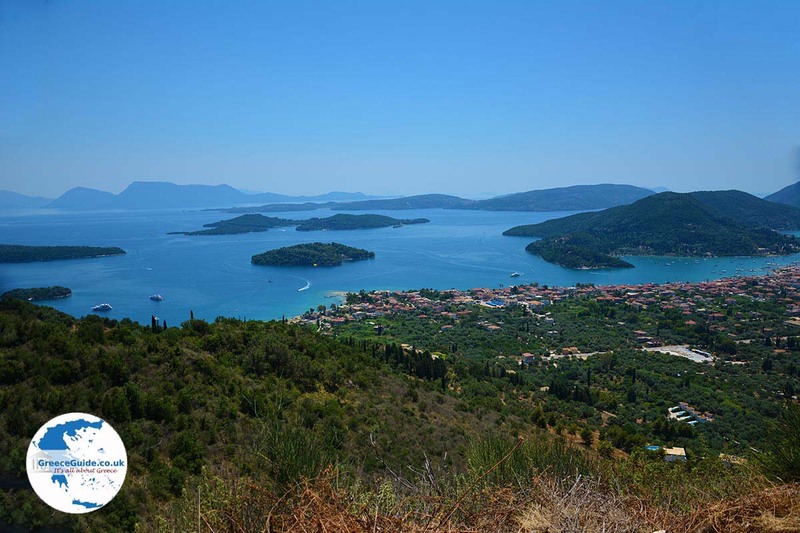 It is located on the east coast, 25 minutes from Lefkada town. It lies in the middle of an outstanding nature with a magnificent coast and a fantastic hinterland. 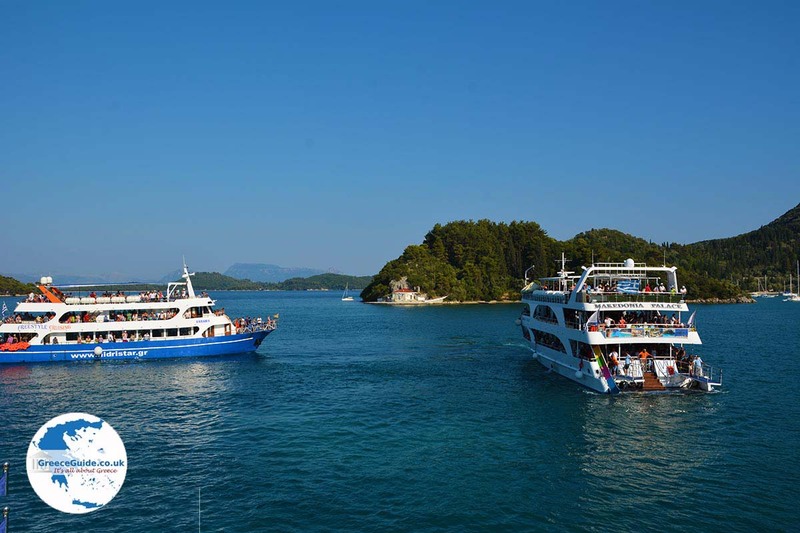 This tourist resort has a lively centre and a very colourful harbour. 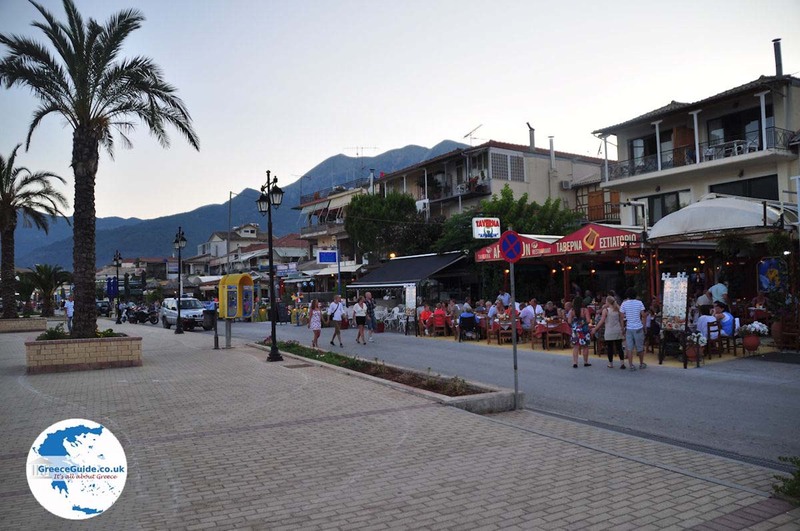 There is a nice promenade (evening pedestrian zone) and a busy street with lots of souvenir shops. The beaches of Nidri consist of coarse-grained sand / gravel. 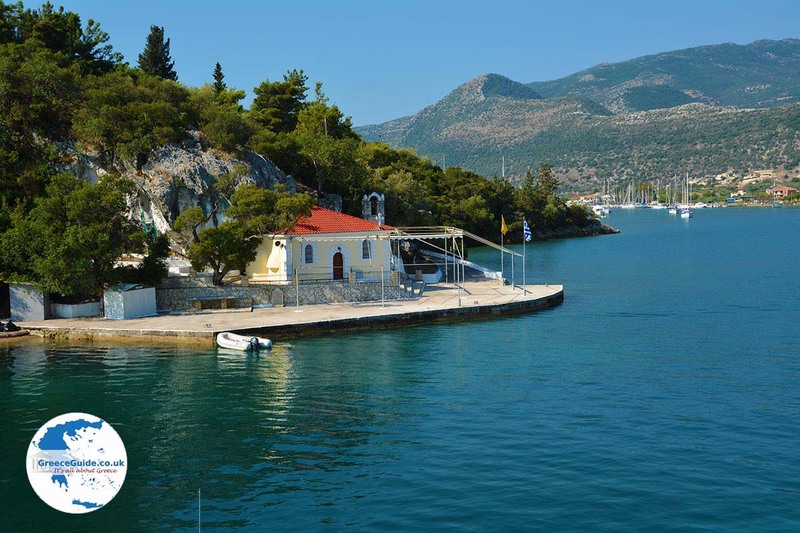 From the beaches you have a wonderful view of the azure sea and the islands near the coast. 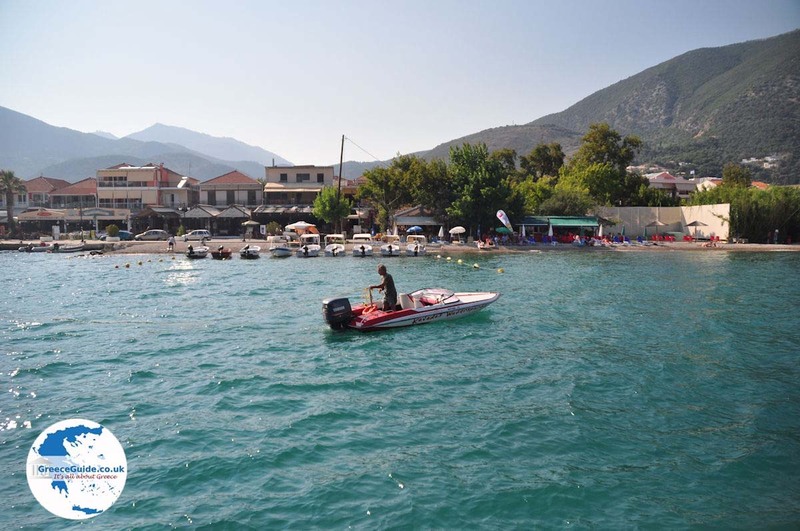 Nidri offers along with the town of Lefkada, the best entertainment on the island. 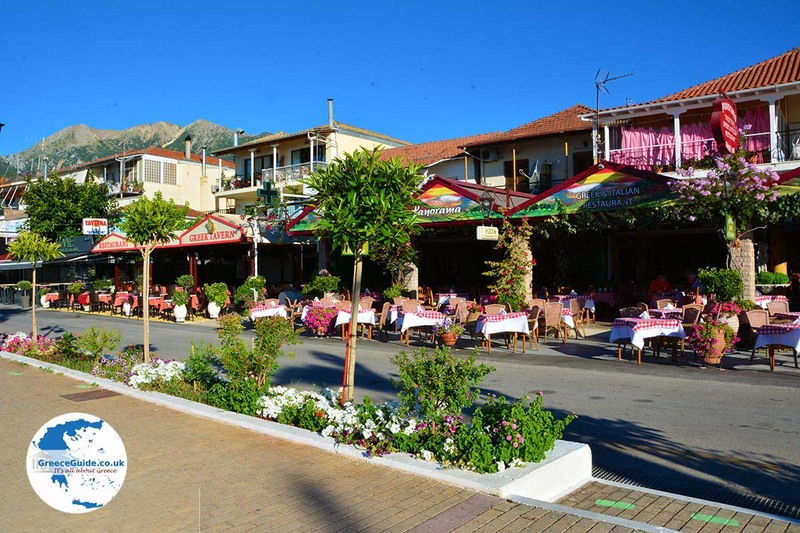 There are a lot of bars, tavernas and cafes. 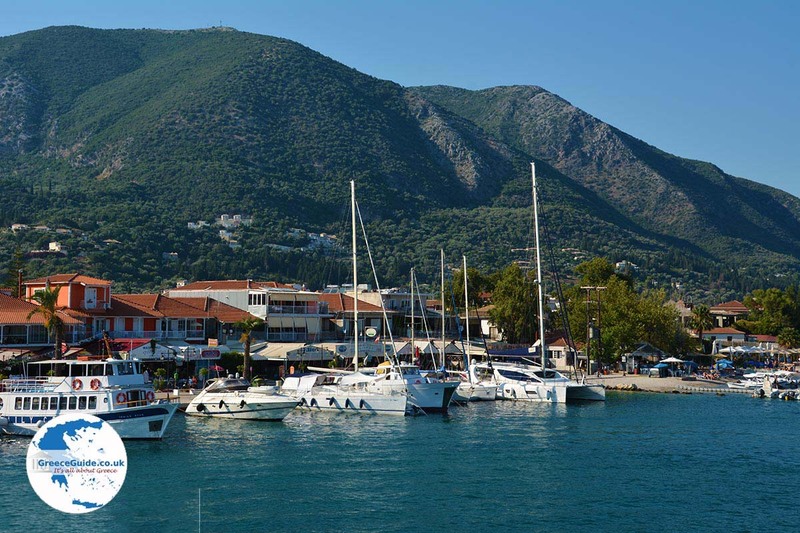 From Nidri you can sail daily with many boat services to Meganisi, Kefalonia (Fiskardo), Ithaca (Frikes). A day trip by boat is from here a must. 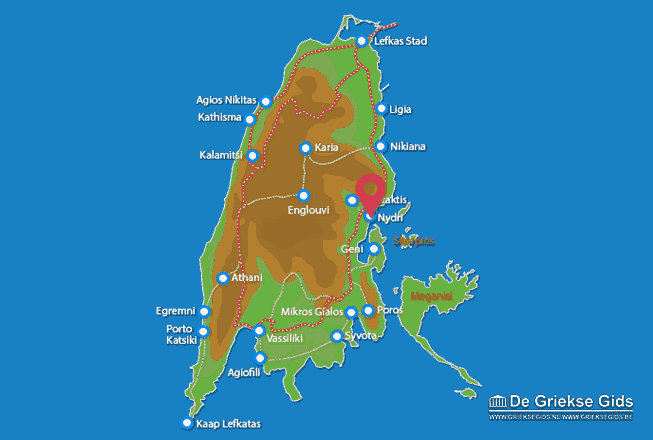 Nidri is also a great base for visiting all of the island by car. 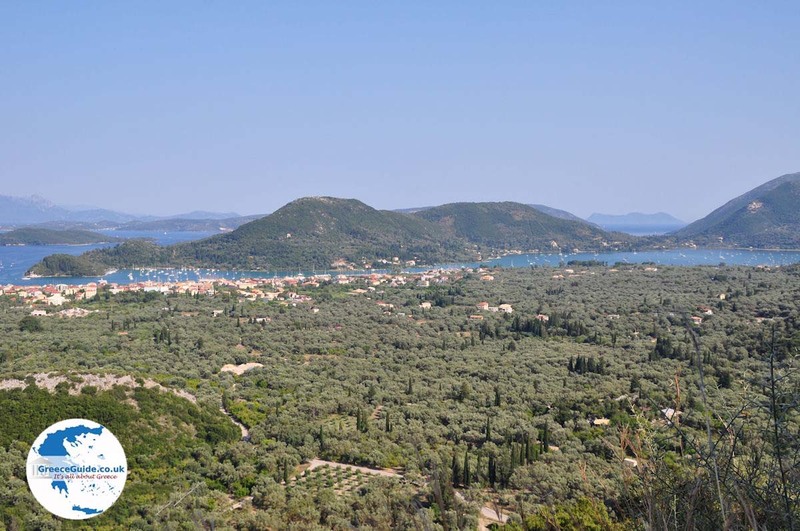 Lefkada: Where on the map is Nidri located?